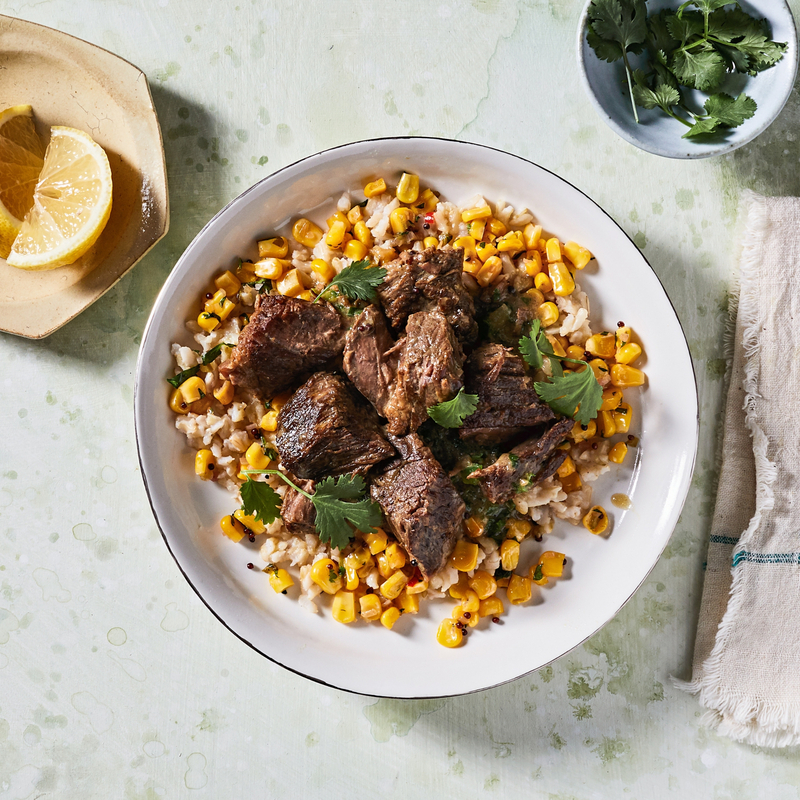 This melt-in-your-mouth, grass-fed, beef stew is based on an East African recipe with fresh green chilies, cilantro and coconut. The beef is first seared off and then braised in the oven for over three hours. With a bright corn side and basmati rice to soak up more of that flavor, this is comfort food with an excellent dose of B12 and Zinc. Ingredients: Grass-fed Beef, Corn, Chicken Stock, Rice, Onions, Coconut Milk (OrganicCoconut, Filtered Water), Beef Bone Marrow, Shallots, Butter, Cilantro, Olive Oil, Garlic Clove, Lemon Juice,Canola Oil, Thai Chili Pepper, Serrano Pepper, Kosher Salt , Mustard Seeds, Organic Cumin, Organic Turmeric, Organic Black Pepper. Contains: Milk, Wheat, Coconut.